The Voodoo Lab Dingbat series of pedal boards are the first guitar pedal boards to feature fully-integrated mounting with highly-acclaimed Pedal Power power supplies. Crafted entirely in Sonoma County, California from superior American 6061-T6 aluminum, Dingbat pedal boards are extremely durable and light weight. Dingbat provides guitar and bass players maximum surface area to manage their pedal assortment while keeping cabling and power supplies tucked neatly beneath the board and out of view. Dingbat is available in three distinct sizes to meet each player's needs. 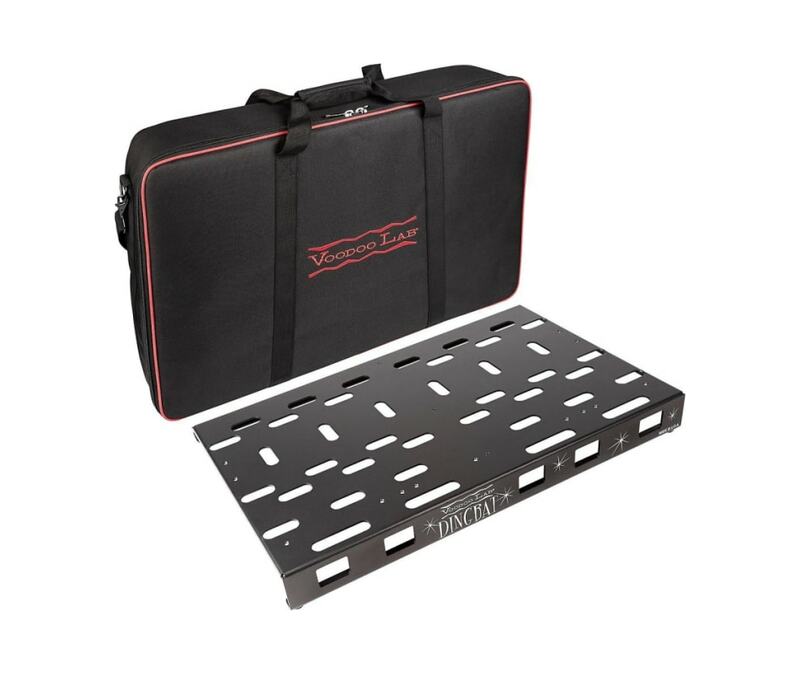 Each Dingbat pedal board ships with a padded carrying bag that features high-quality YKK zipper hardware and both a shoulder strap and backpack straps for easy transportation.